BLACK suede sash. 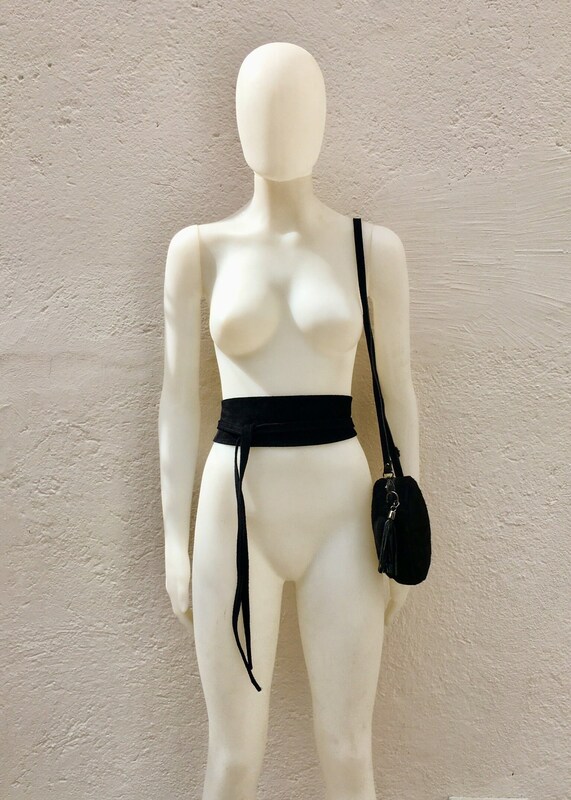 Leather OBI belt. 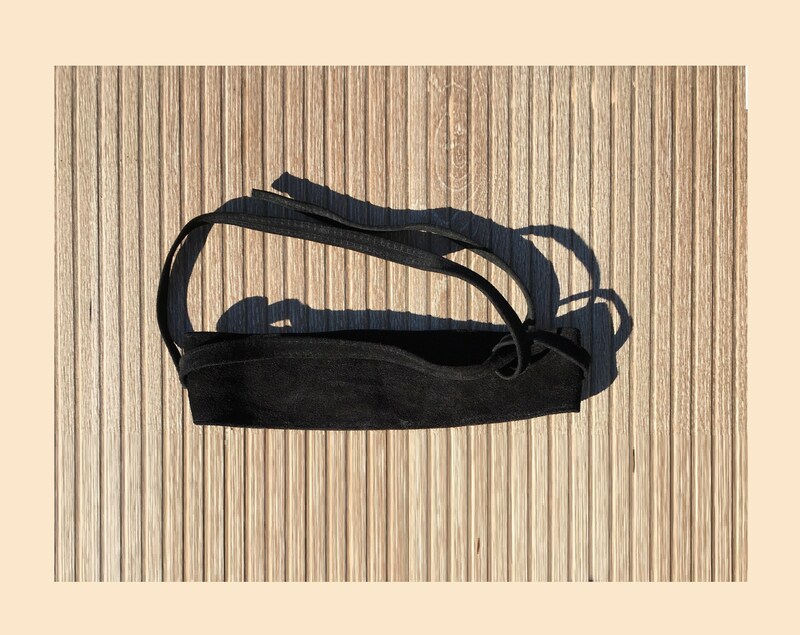 Waist belt in soft natural suede leather. Looks great on a long loose shirt, cardigan or a soft summer or winter dress. Love it ! And shipping was super fast. LOVE THIS BELT!! It adds such flair and style to a simple outfit in a subtle and classy way!